A tour bus accident may seem like a rare phenomenon, but motor vehicle crashes of all sizes are fairly common in the United States. If you have been injured in a tour bus accident, you may have grounds to file a personal injury suit in order to receive damages and compensation for your injuries, lost time from work or other distresses. We are a team of knowledgeable Phoenix tour bus injury lawyers, and we want to hear your story and represent you. Since 1991, Plattner Verderame, P.C., has been the law firm you could turn to for honest, practical advice. Three of our partners are Board Certified Specialists in Personal Injury and Wrongful Death Litigation by the Arizona Bar Association Board of Legal Specialization. We know what it’s like to get hurt in an accident, and if there was negligence on the part of the bus operator, driver or equipment, we want to help you recover damages and attempt to right the wrongs of your tour bus injuries. We also handle claims stemming from accidents with Greyhound and Megabus. Tour buses, like city buses or charter buses, are considered common carriers. As such, they must abide by strict rules and regulations at the state and federal level when it comes to the safety of their passengers. If you sustain an injury, or if your loved one is killed, you should seek legal counsel right away. 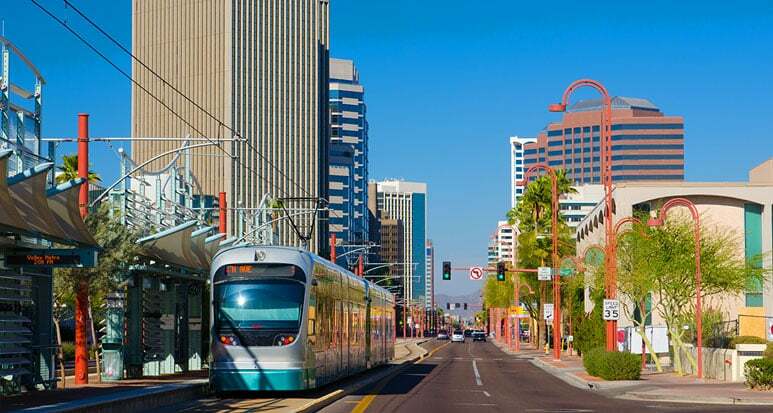 We take pride in the fact that our clients work directly with our knowledgeable Phoenix tour bus injury attorneys. If you were a tourist on the bus or another driver who was hit by a tour bus, we can help you gather evidence and prove negligence, and we will work with you through the duration of your case. As a team, we guide you through your legal options for seeking fair compensation and keep you updated on developments in your case as they arise. Most cases like this settle, and because our firm is known for its aggressive and professional litigators, it is likely the tour bus company, operator or other responsible party will prefer a settlement over a trial. Our reputation for high-quality legal work for honest clients with real injuries means that we settle most of our cases outside of the courtroom. It’s our goal that you will use the full spectrum of your rights to advocate for yourself so that we can represent you. You are worth it, and we can help. It’s in your best interest to seek medical care as soon as possible after your bus injury. At the scene of the accident, the bus operator or staff should ideally be in charge of seeing that you get evaluated by a paramedic or taken to the hospital for help with injuries sustained. The skilled Phoenix personal injury lawyers at Plattner Verderame, P.C. can help you discern who the responsible party or parties are for any injuries you have incurred in a tour bus accident. We take complex legal claims – like commercial vehicles and tour buses – and translate them into plain language for our clients. Call us at 602-783-8793. You can also complete our contact form. We work on a contingency-fee basis, meaning you won’t owe us a thing unless we obtain a verdict or settlement on your behalf.